It’s all about expectations, really. 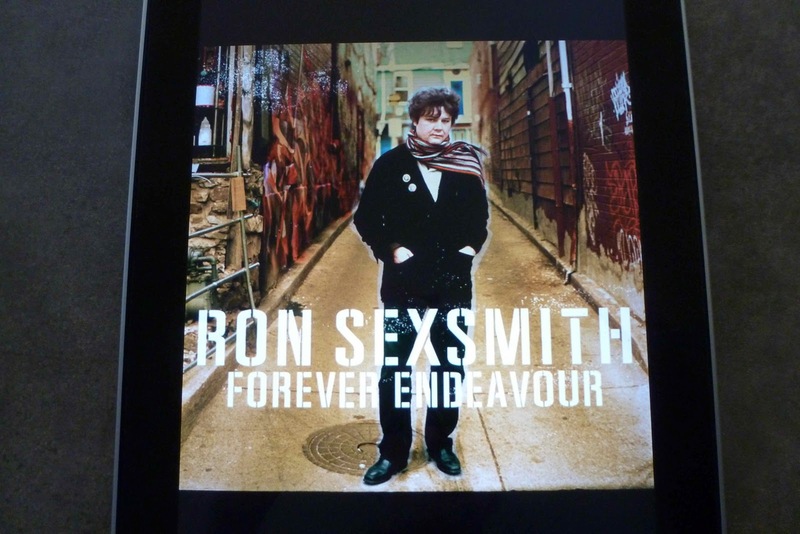 Not that long time fans will have any delusions about a sudden surge of popularity shooting Ron Sexsmith into the stratosphere of popular success. From the low key French horn producer Mitchell Froom deploys at the start of Nowhere to Go it’s obvious we’re heading straight back into familiar territory, and, really, without some profound change in the Sexsmith vocal cords there isn’t really anywhere else he’s able to go. That built in melancholy works like a charm throughout Forever Endeavour’s beautifully crafted, softly rueful songs dripping with bittersweet reflection. And if he’s leaning a bit more towards musings on mortality you can’t really blame him. There was a major health scare in the middle of 2011, when a lump was discovered in his throat. The lump turned out to be benign, but it’s the sort of circumstance that tends to concentrate the mind and dominate the thought processes. Assuming you’ve actually heard the man’s work, from those French horn notes at the beginning to the final notes of the melancholy, melodic The Morning Light, there isn’t anything startlingly new here, which is fine with me. Another collection of low key, well-structured songs with echoes of Brian Wilson and Paul McCartney and traces of other troubadours (a dash of Ray Davies, maybe a jot of Jackson Browne and a dollop of Nick Drake) has a definite place in Hughesy’s playlists. 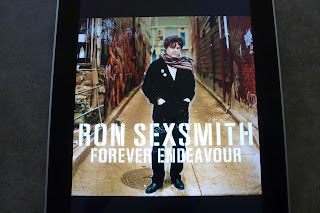 Mitchell Froom occupied the producer’s chair for Sexsmith’s first three albums, and 2006‘s Time Being and he knows what is needed to take a new bundle of Sexsmith material and wrap it up to optimum effect. There’s an impressive cast of session players (mposters rhythm section Pete Thomas and Davey Faragher, Greg Leisz on pedal steel, with the Calder Quartet there for the strings and Froom deploys them in an unobtrusive autumnal muted orchestration that wraps the meditations on aging, mortality and the need to carry on despite the slings and arrows of past misfortune in entirely sympathetic surroundings. Nowhere to Go, with that gorgeous French horn at the beginning sets the tone for the rest of the album with references to the gravity of the moment where there’s Nowhere to go but down, and acoustic guitar and simple percussion lead into a wistful discussion about knowing where Nowhere Is that‘s almost jaunty as it gets into the chorus. If Only Avenue with some Duane Eddy guitar takes a rueful glance backwards (With the luxury of hindsight / The past becomes so clear / As I look out on the twilight / My days have become years). There’s a bit of the same in Snake Road‘s reflections on past infidelity, dark days when I couldn’t keep my thoughts straight, couldn’t keep my trousers on though the narrator doesn’t sound overly regretful. The orchestration’s back, lush and lavish on Blind Eye, Lost In Thought is likely to slip past if you were, but is rather lovely if you’re paying attention, and there’s a major statement of the Sexsmith philosophy of life on Sneak Out The Back Door's portrayal of a relationship falling apart. He’s never been good at saying good-bye so there’s no surprise about his intentions. Even when my life is over / ... Give my regards to the people in charge / As I sneak out the back door with an absolute minimum of fuss. Things are slightly more upbeat on Back Of My Hand, with chiming guitars and a Sixties Merseybeat feel. There’s a wistful melancholy retrospectivity to Deepens With Time and while he claims to be having a real good time on Me Myself and Wine the ragtime horns suggest that might not quite be the case. You can, however, count your blessings as he does on She Does My Heart Good, and there’s a zingy instrumental passage mid-song that does just that. The album proper winds up with The Morning Light, a melancholy, melodic (no surprises there) flourish that brings things to an appropriate finish, though there are the usual bonus tracks tacked onto the end. From the title Life After a Broken Heart might be expected to veer towards the doom and gloom but comes across as unquaveringly hopeful, but Autumn Light is pretty much as per expectation. Least of My Worries is uncharacteristically jaunty, while Real Pandora delivers a warning about desire and the possibility of lustful excess. Assessing Forever Endeavour I’m in much the same boat as I found myself in with Richard Thompson’s Electric. Another excellent recording from an a quality songwriter who manages to consistently deliver quality, deftly poetic product.